EAST FLATBUSH, Brooklyn (WABC) -- Snow in May? 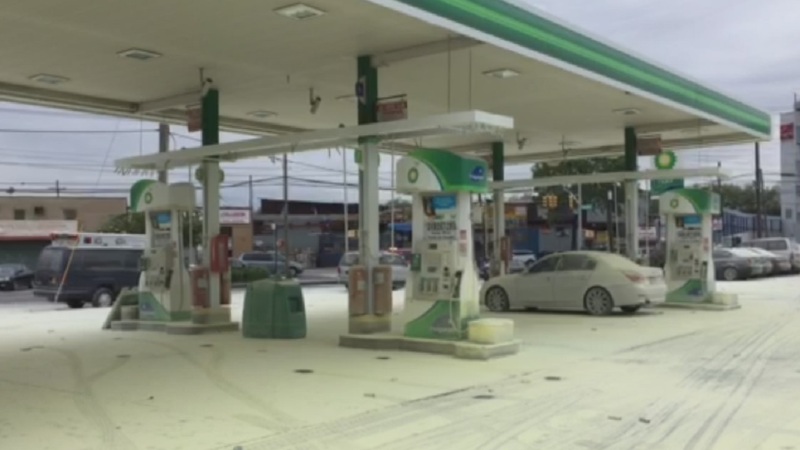 A fire extinguisher system malfunctioned at a gas station on Saturday afternoon in Brooklyn, sending dry chemicals everywhere. The FDNY says they got the call around 3:15 for a HAZMAT incident at a gas station on Ralph and Foster Avenues. More than a dozen people were hurt. Most people were treated at the scene, but two were taken to the hospital.